I guess the photo above explains why I love Miami. I took it with my iPhone. The sun was setting tonight through two buildings across Biscayne Bay on Brickell, downtown Miami. While I have lived in this condo on Miami Beach for 15 years, I find it absolutely weird that this is now my only home. I wanted to see sky and water outside my window on a permanent basis. For the last 40 years, I looked at brick. I never really saw much sky but I really didn’t need it because I was a true New Yorker. The sounds of sirens from ambulances, police cars, and fire trucks were music to my ears. I loved every minute of it. I never thought it was too loud or an interference. I am lucky in the sense that I can truly appreciate both places. Before I left NYC for Miami, people asked me if I was afraid of Zika, the rising tides, and the waste washing up on the beaches. Today, I spoke to some die-hard New Yorkers who now say I got out just in time because of the recent bombings. I quickly reminded them that I lived through the Son of Sam roaming NYC streets, I was at my work desk on 12th Street and Fifth Avenue when the Weathermen blew up a townhouse a block away, and personally witnessed crowds of people, covered head-to-toe, in white powder as they walked uptown after the Twin Towers came tumbling down. I never once thought that Manhattan was not the place for me. I loved every minute of it and still do. We are not safe anywhere, anymore. I never thought a seaside area like Nice, France would ever come under attack like it did this summer. It’s such an innocent-looking place. We just have to pray for peace wherever we are these days. I thank my lucky stars that I am living in the days of the Internet. There is no question that it has brought on a lot of evil, but it has certainly allowed us all to be connected in ways our parents and grandparents would have loved to experience. It certainly has given me the ability to be upwardly mobile and appreciate the goodness every place has to offer. 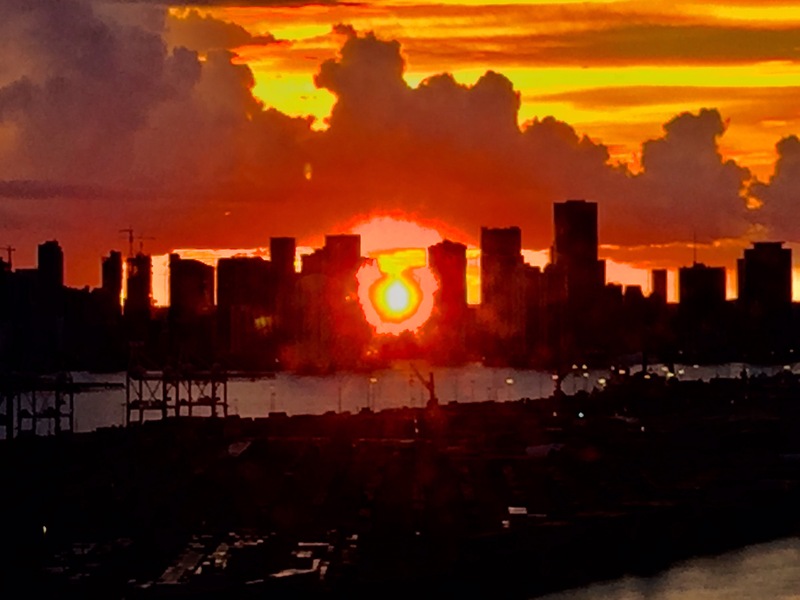 This entry was posted in digital, senior lifestyle, tech and tagged Miami, New York by loiswhitman. Bookmark the permalink. Lois Hess this is one of your “bests”! Brought tears to my eyes. I miss you both already. Lois, you’ll always be a New Yorker wherever you live. Meant in a good way. Good luck to you and El on your fabulous new adventure. It’s very noisy in NYC today.